Thank you for visiting our website. 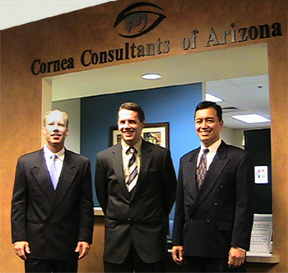 Cornea Consultants of Arizona have been serving the community for over four decades. Each of our physicians has extensive training at prestigious residencies and fellowships. To learn more about one of our doctors please click on their biography.